In the last blog I showed how to translate your wishes (or the wishes of your customers) into a mood board. This time I’ll show you how to translate your mood board into a floor plan and how to make use of the library to reflect your mood board ideas. Start to draw your space. 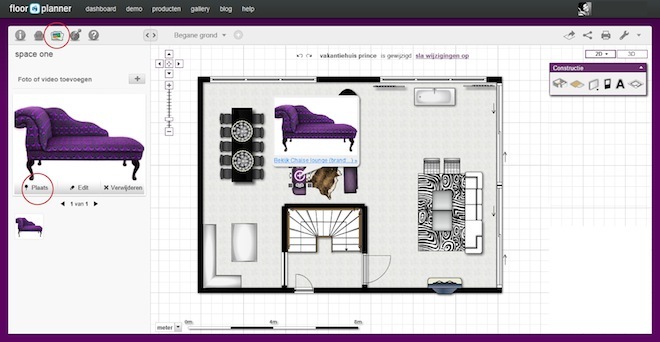 I will draw a big living room that includes kitchen and entrance for my client (yes, that’s still Prince). 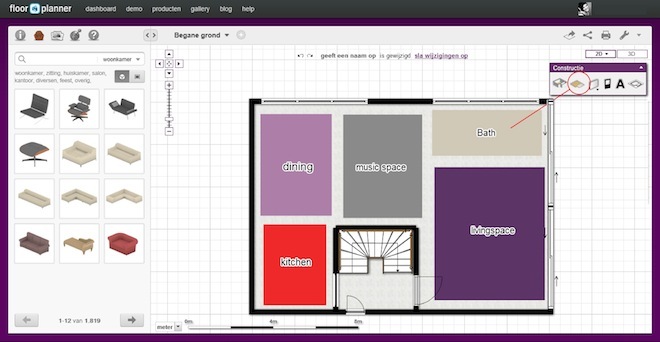 Use the manual of Floorplanner if you need some tips and tricks on how to draw your space. Keep your mood board and your questionnaire from previous blogs at hand so you can see what kind of atmosphere you should draw. Think of a global layout. To design a living room you’ll have to make a layout plan first. What goes where? Where do I position my kitchen, lounge, dining area and any other features? A wish that Prince has is to have a bath in the living room. (see blog 2) For that I will provide a nice spot! Normally you will make a number of layouts to discuss with your client. After choosing your layout you can start designing. I’ll start with the floor. Because I want a marble floor that looks seamless, I used a concrete texture. Tip: you can use other textures to express the materials you want to show by changing color. 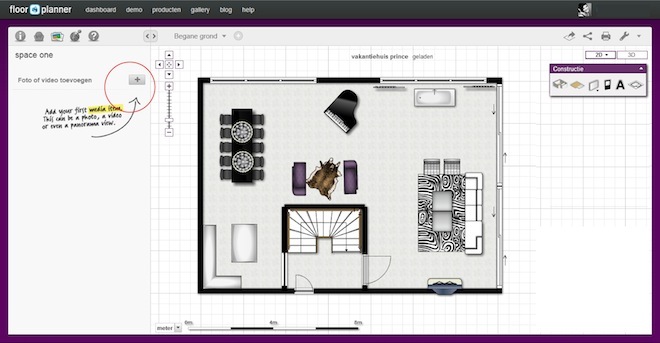 Now you can start using the Floorplanner furniture library. Floorplanner has lots of furniture and accessories that you can adjust in size and color. By coloring all furniture in the lounge area in the same tones and adding some color accent you will create a posh look and feel. And that’s what we want for Prince! J We should add some chaise lounges as well. In the library I found a model that’s close to what I had in mind, but I will add a picture of the exact piece I want. (see media-tool that you normally use to show interior pictures). In the screen that pops up you can name your picture. You can also add the brand, size, price etc.. This way your client can see what furniture you recommend. Browse your computer to add the right picture. Place the needle on the couch in your drawing (see red circle). An X-sign appears. When you click it the picture will show up. Of course you can do this with multiple objects. Whether it’s for yourself or your client, it’s a fun and clear way to show your design! 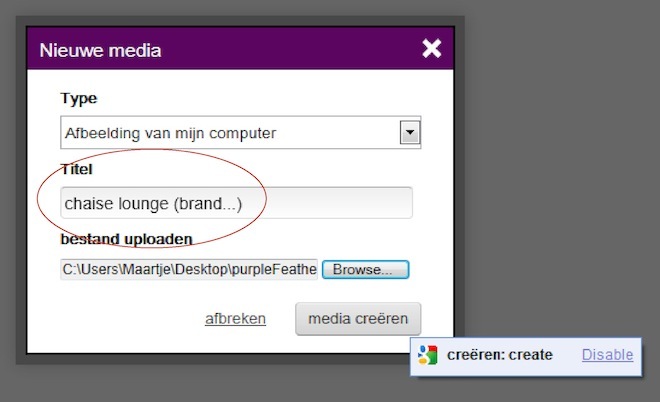 Next time I will show you how to use the library to add accessories and spice up your design!